Minimal handling to ensure no damages during the import, transportation and installation processes and a fixed budget were the criteria for this client’s project. We applied Lean Thinking to look at the holistic supply chain solution from under hook in the port to final laying of the pipe in the Cooper Basin. As a result, we ensured transport and trailers were in the port under hook ready to receive the reels directly from the vessel. By lifting / handling the units only once instead of three times we saved our client port charges and ensured the risk of damages in the port was significantly reduced. We also adapted modifications to the trailers to reduce the number of pilots required which halved the expected pilotage charges. 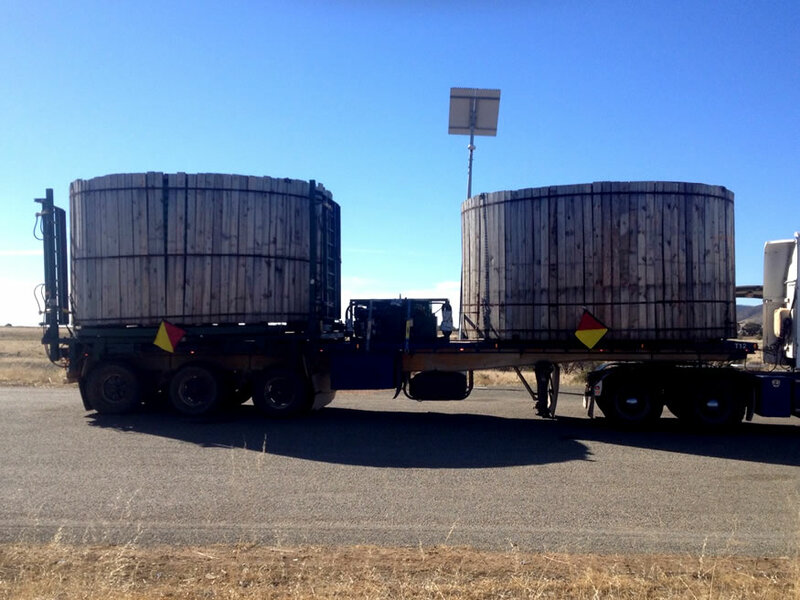 We also negotiated with authorities for special permits to allow the reels to be transported in the Cooper Basin in Road Train configuration. This resulted in a reduction of the trucks and pilots needed, making further savings. To reduce the number of lifting / handling and shifting times at the final destination we strategically placed all trailers along the route of the pipeline installation enabling the client to cut crane operating times and ensure a smooth installation of the pipeline along the route.